It's that time of year again when you get the chance to scare your friends and family and get away with it. So, where do you find music that is suitable to set the Halloween mood? There's a scarily good choice of Halloween music albums offered by digital music services, but what if you want it for free? 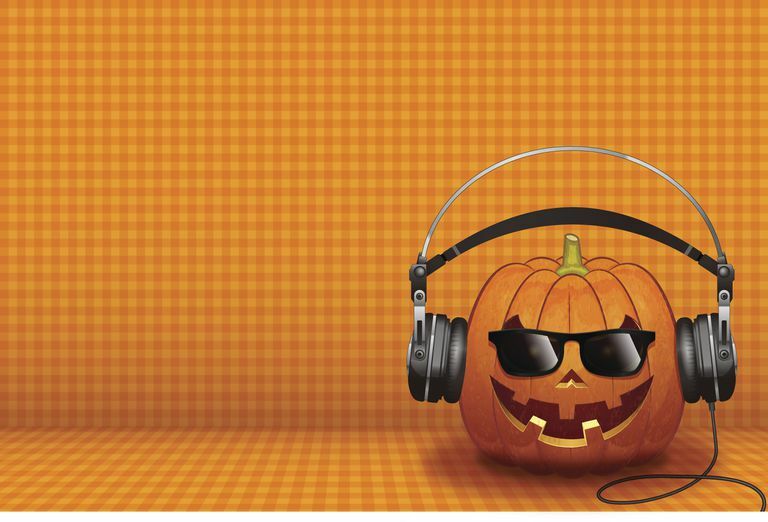 Check out the Halloween music web pages for the best places to get your free spooky music. If you want any of these audio files to be in a different format than what you're given, run them through a free audio converter. Most of the time, you probably want your Halloween sounds to be in the MP3 format so that you can use them on a variety of devices. If you're looking for some spooky party tunes then there are five full-length Halloween tracks at Freekidsmusic.com that are ideal for any terrorizing kids Halloween party. Sue Schnitzer: "Halloween Party" and "Scary Skeleton"
M. Ryan Taylor: "Five Little Pumpkins" and "Welcome, Said The Spider"
This frighteningly free album is a collection of creepy songs that are "frightening, damaging, and disturbing." You won't find "Monster Mash" here. With titles like "Devil's Candy Shop," "Humanoids From the Deep," and "Dark Hallway," these tracks will set a fiendish backdrop to your creepy festivities. Anyone into spooky vintage music will go for this set of remixes by DJ Doctor Toast. It gives you over 90 minutes of retro Halloween audio fun. The remixes contain a lot of good vintage sounds and are well worth a listen to if you want hauntingly good vintage Halloween night. You can get each Halloween sound in either the MP3 or OGG format. Although this one is only a single, three-minute track, it's an excellent song that is well worth the free download. Martinibomb and the Coconut Monkeyrocket have done a great job in capturing the essence of Halloween with their remix of the classic Munsters theme tune. If you're looking for Halloween music, check out the Haunted Illinois website, which offers 44 free downloads. The files are in the MID format. You'll find Halloween music themes from classics such as "The Addams Family," "Bewitched," "Psycho," "Ghostbusters," "The Munsters," and many more frightening favorites. If you are for sound effects, then SoundBible.com is an excellent archive that contains all sorts of weird and wonderfully creepy sounds. Pick from classics like "Maniacal Witches Laugh" and "Old Door Creaking" or go for the horrifying "Table Saw Buzz" or "Psycho Scream." Preview the sounds in your browser and download them in the WAV or MP3 format. The Holiday Spot website has a decent selection of screaming essentials for your Halloween music needs. Get your Halloween groove on with "Epic Journey to Hell" or "Zombie Hoodoo." Files come in MP3, WAV, and MIDI formats and can be downloaded by right-clicking on the title of the sound. Use the Play button to preview the sounds before you download them. Even more free Halloween music downloads can be had over at Haunted Bay — a perfect name for a website with dozens of haunted sounds. Start out with the familiar but always spooky "Alfred Hitchcock Theme" or get the whole gang dancing to the "Monster Mash." Most of the files are in Midi format, but there a some MP3 and WAV files.